This is the latest product from our HDPE bottles section. 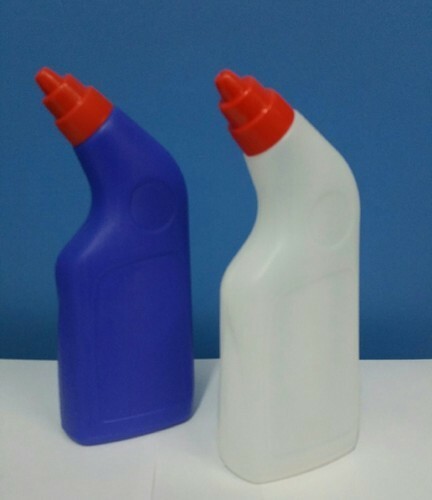 Superior finish blue colour bottle designed at a special angle and fitted with a special nozzle for easy distribution of toilet cleaning liquid . Established in the year 1999, We Sunshine Polypet Private Limited are engaged in the arena of manufacturer and Wholesaler of the wide spectrum of Packaging Bottles and Plastic Pet Jars. These products cater to the needs of various industries such as Liquor, Healthcare, Chemical, Pharmaceutical, FMCG etc. Further, our range is fabricated using high-quality material like thermoplastic polymer. In addition to this, we also offer various customer support services, which have garnered us maximum client satisfaction.